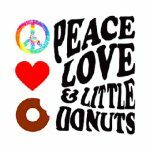 Want to win a dozen donuts from Peace, Love and Little Donuts? Here’s how! 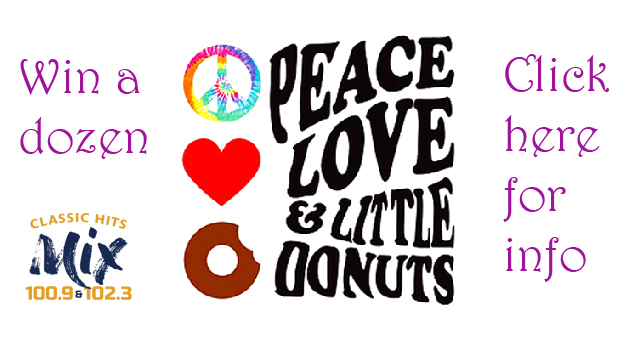 Classic Hits the MIX and Peace, Love and Little Donuts have teamed up to bring you: The Donut Of The Week! Every weekday between 6a-9:30am JD Fox will mention the Donut of The Week 2 times. 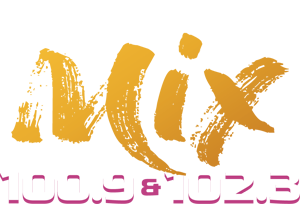 From the station that fills you with Peace, Love and Little Donuts… Classic Hits 100.9 in Charleston and 102.3 in Huntington, The MIX!